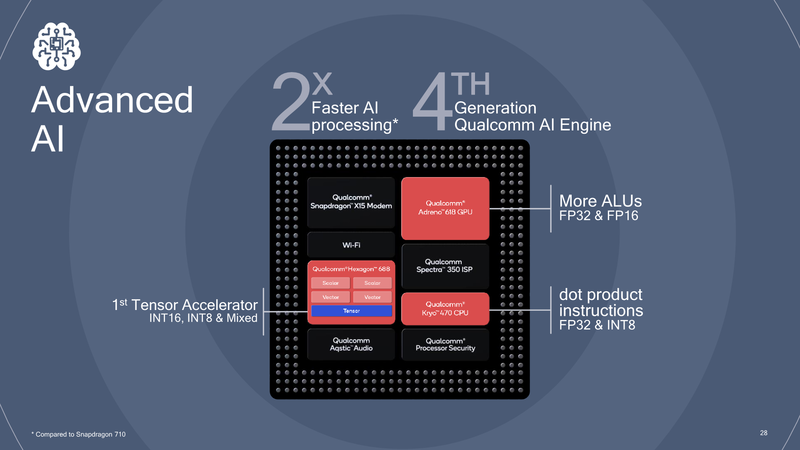 Today at Qualcomm’s AI Day in San Francisco we saw the reveal of the new Snapdragon 665 and Snapdragon 730 SoCs and platforms. The new chipsets represent updates to Qualcomm’s mid-range and upper-mid-range line-up in the 600 and 700 series. 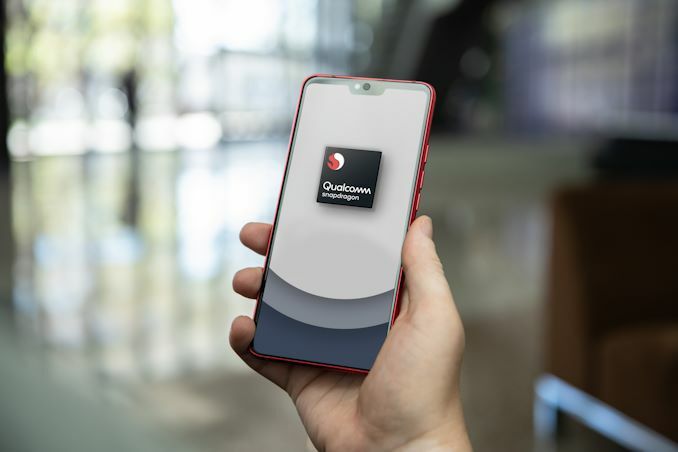 In the last year we’ve seen Qualcomm be particularly active in these segments, pushing out new platforms in extremely quick fashion. 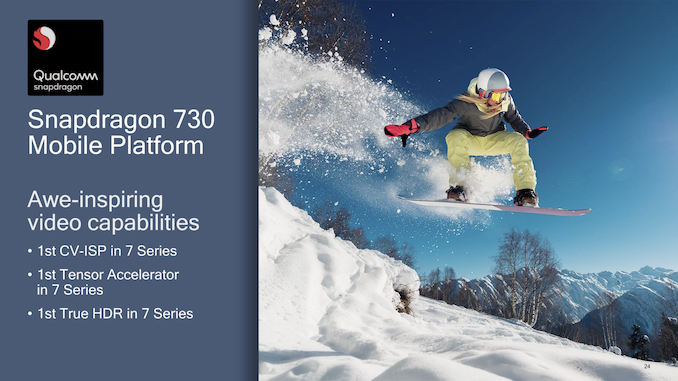 Seemingly the reason for this quick succession is that these product segments are extremely cut-throat in terms of price sensitivity, and having new products exactly tailored to customer’s needs often will give one the competitive edge and the desired design wins. 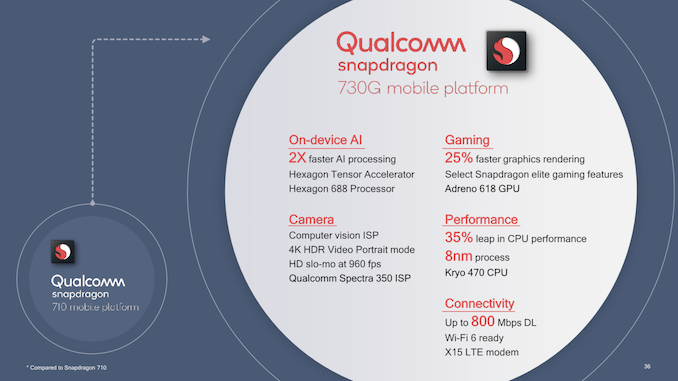 Starting off with the new Snapdragon 665, the new chipset represents a direct update to the Snapdragon 660 announced back in 2017. 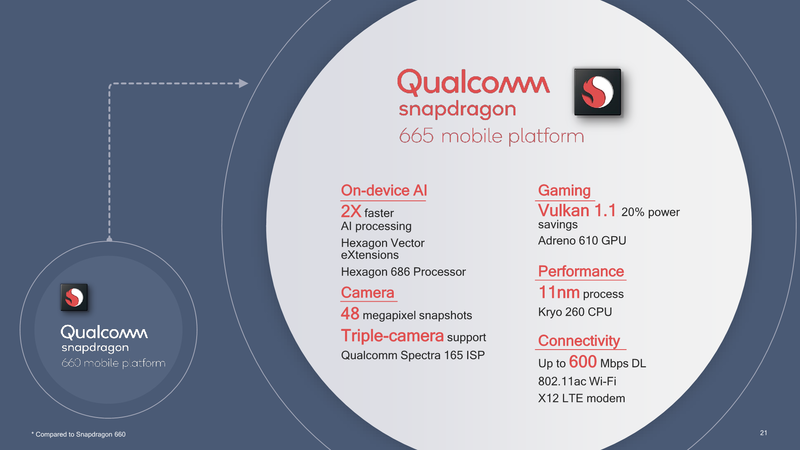 Qualcomm’s positioning here is quite weird as the new S665 isn’t as highly positioned as the S660 was back then; the Snapdragon 665 instead yet again creates a lower-end within the mid-range 600 series, but then again it’s still positioned higher than the 630 or 650’s series of past. Yeah, it was originally supposed to be aimed at the Asian market for an affordable-premium options. Oppo, Vivo, Xiaomi all had options.